Readings by email are convenient and quick. I can usually get back to you within 24 hours - perfect for questions that you need help with immediately! 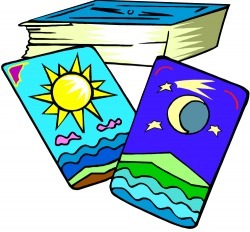 With every reading I do, you'll get a free follow-up question within one week if you need more guidance on the issue. My prices are all by the spread, not by the minute. You never have to worry about how long your reading is taking or about hidden charges. Find the spread that best fits your needs and click BUY NOW! Once you have paid through PayPal's secure system, you will be taken to a confirmation page where you can send me more information about your question or issue. Don't see a spread that's right for you? Shoot me an email and I'll put together a personalized reading that fits your needs, at no extra cost.